The roads are endless, straight and it’s forever long to Perth. But there is no other option for getting home. Drive on. If only it was 106 miles home, but all long travels start with the first step. 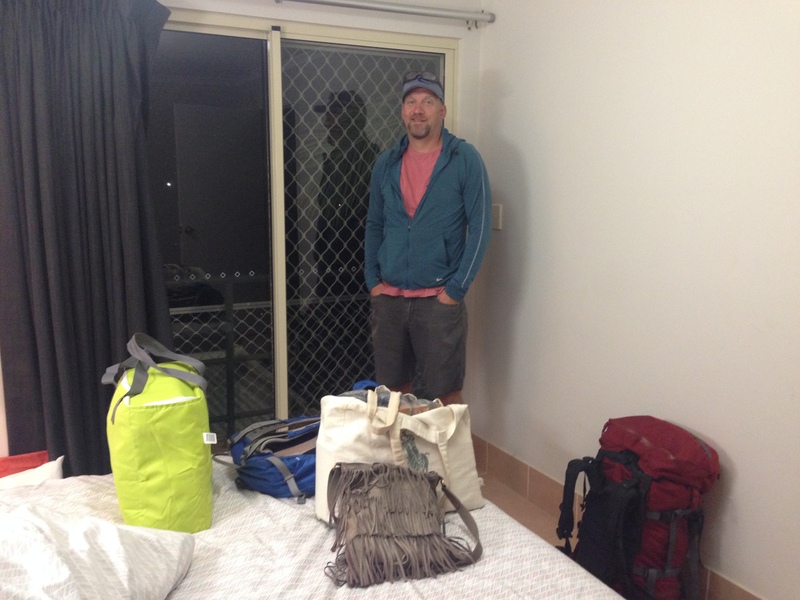 We had packed all our stuff the night before and got it out in the car and headed out on the road. And there you find yourself pretty alone at 05:11 which was our take off time. Since we left before sunrise we stopped and watched the sun rise again. It is still a magnificent moment in every day. It’s dark and you’re constantly watching for kangaroos. They like to get on / over the road at dawn. I don’t know why but there is absolutely most traffic in the wild life during sunrise and sunset. 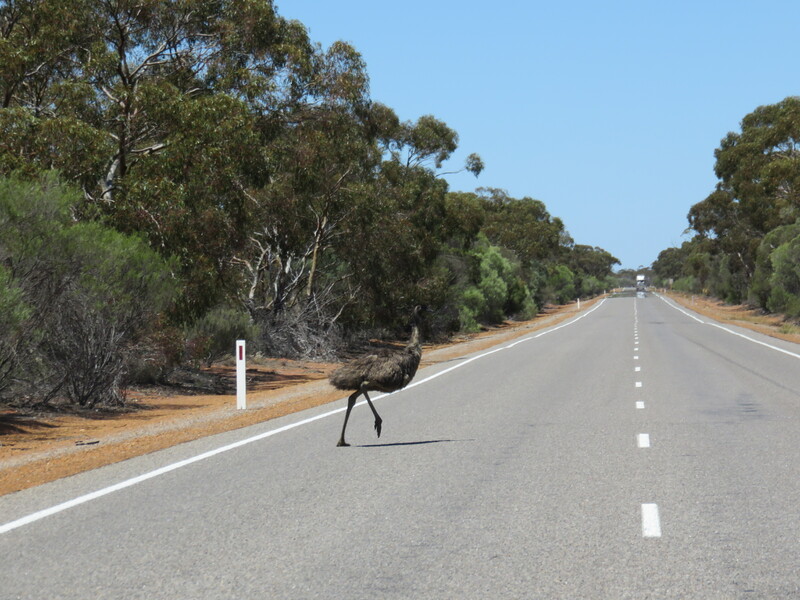 We avoided all of the creatures wanting to cross the road on our tour, and the most close up was the Emu that owned the road. There is really not that much to describe from a drive like this. We had made sandwiches for lunch and stopped to eat during the tour. This got us in close contact with a lot of flies, and only made us want to escape the place all together. We stopped at a scenic look out or two, but spent 10 hours and 38 minutes driving the car. A total traveling time of 12 hours. Thank you Audible and audio books. We’ve found a great policeman story that ran for the entire trip, with still an hour to spare for further driving. All my hours of playing GTA lead up to this moment! I was so spent when I came to Mike’s place that I just collapsed on the couch. We had run through Thirsty Camel, the drive through bottle shop, to pick up a case of beer and I took some of those to make sure they were alright. You sit in your car and ask the young fella about beer. He gives some alternatives and voila, puts it in the back seat. Money out the window, change back – go your merry way. 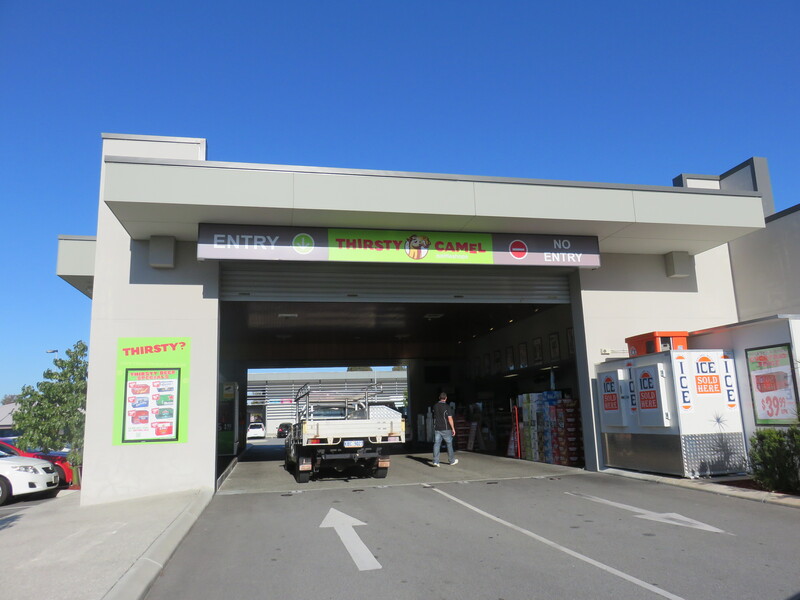 Thirsty Camel, drive through bottle shop. I was asleep at 21:00.